Indonesia is home to millions of disabled people. Unfortunately, most have limited access to education, specialized medical treatment, assistive technology, and employment. Indonesia's modest economy means that services and facilities for people with disabilities are minimal. People with disabilities are often considered an embarrassment. A significant barrier faced by people with disabilities is the belief that their disabilities are a punishment from God for sin. In Java and Bali in particular, the person with a disability is believed to be possessed by a supernatural spirit, which must be exorcised. Disability is also often seen as a matter of fate. There is little empathy for people with disabilities for whom 'nothing can be done'. This kind of judgment and stigma affect the lifestyles of people with severe disabilities. People with disabilities are generally not encouraged to develop personally. They are not considered valuable members of their community and many remain housebound, uneducated and unskilled. They generally do not earn a reliable income and therefore depend upon able-bodied family members to provide for their livelihood. These individuals are considered the responsibility of the family to be cared for as a dependent member of the family unit. Annual Charity dinners have become one of the the most-anticipated events and a unique and effective way to raise funds for the less fortunate. 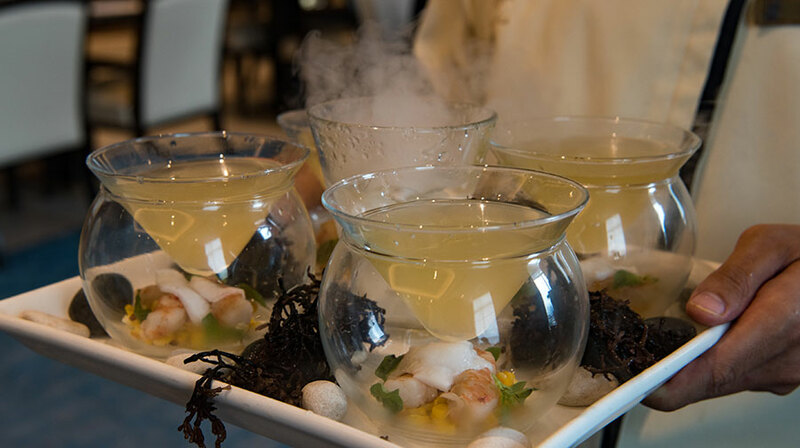 Combining the art of culinary with the art of giving, this charity dinner is a special way to give back to the community and remind us again why should we help disabled people. Most importantly, however, social and cultural perceptions need to change to recognize the valuable contribution that people with disabilities can make to the community. 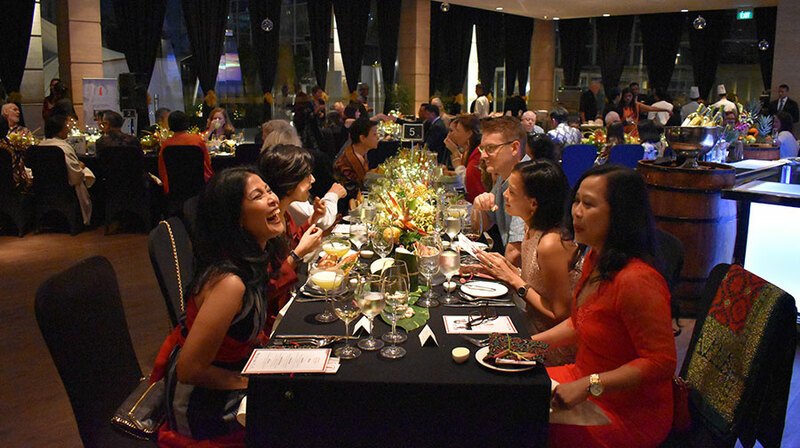 This Archipelago Charity Dinner raises funds for Yayasan Wisma Cheshire, a non-government organization offering residential care for paraplegics both in Jakarta and Aceh. Many of the residents have disabilities from road or industrial accidents, while others suffered from polio. 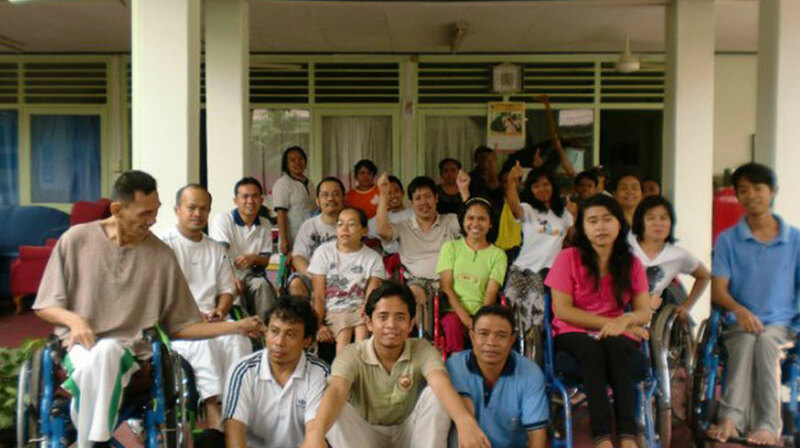 At Wisma Cheshire, they receive vocational training, individual development plans, and support for disability rights. This will help lead them to a financial independence through employment. What would a luxury yacht company like Coral Triangle Safaris care about the disabled? 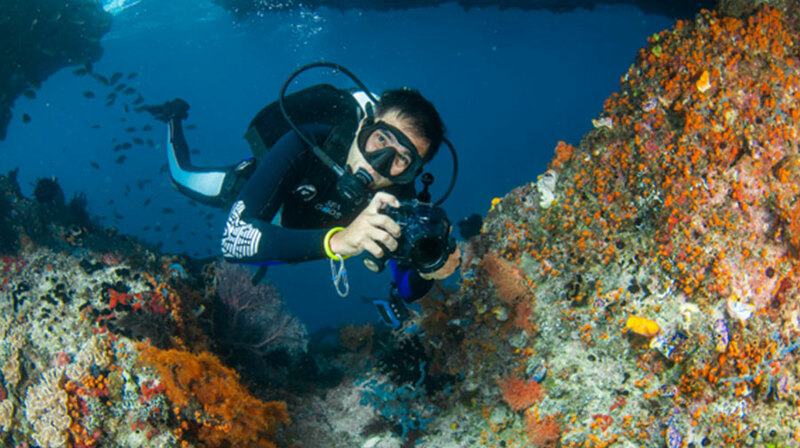 Our founders enjoy traveling to remote corners of the earth especially for scuba diving. Kevin Corcoran and Yessi Maya Sari have fond memories of scuba diving trips in Bunaken National Park, Sulawesi with disabled divers. They suddenly realized that under water, the problem of gravity disappears for the disabled as all people “float” the same way. For once, the disabled feel a sense of empowerment and achievement, which bring them a great joy. It is a wonderful thing to watch a person that cannot walk surface with a big smile knowing that they can do it! 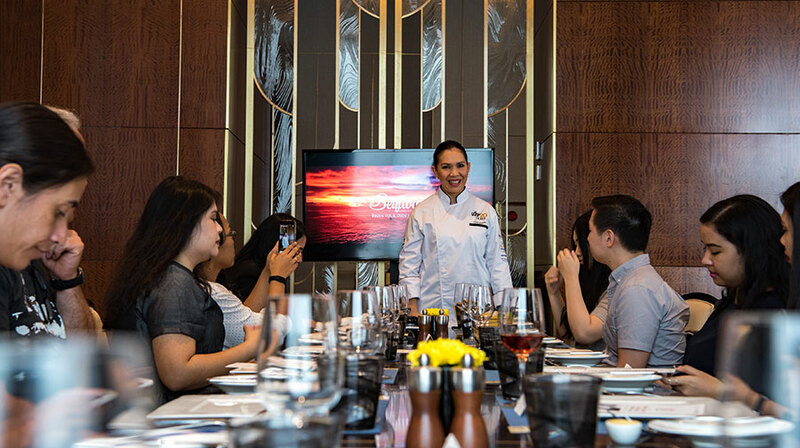 Jakarta, 22 February 2018 – Together with Chef Petty Elliott, we indulge our invited guests with exquisite dishes inspired by ingredients from around the archipelago with wine pairing that we also served onboard Sequoia Yacht. 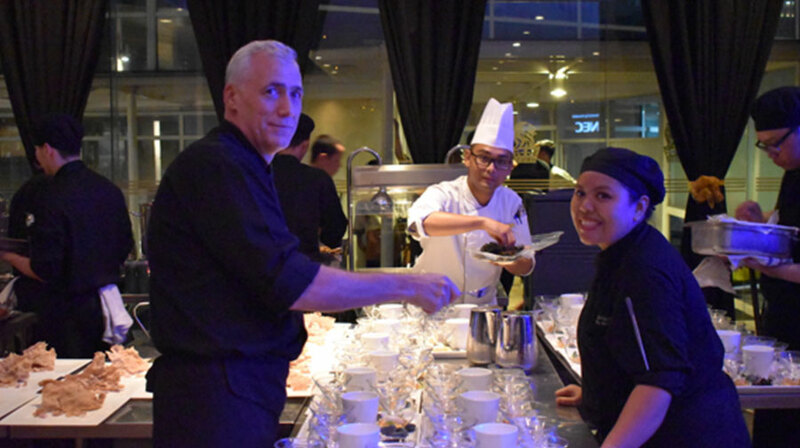 Ritz Carlton Pacific Place Jakarta hosts our diner, together with its own Executive Chef Sean MacDougal. We start with an appetizer from North Sulawesi known as Pelangi Ikan Gohu. It is Tuna ceviche, coconut, sambal, pomelo, and vegetable chips. The Second Course is Binte Biluhuta which originates from Gorontalo. It is a bowl of prawn soup, young coconut, lemon grass, chilli, lime juice, and basil. 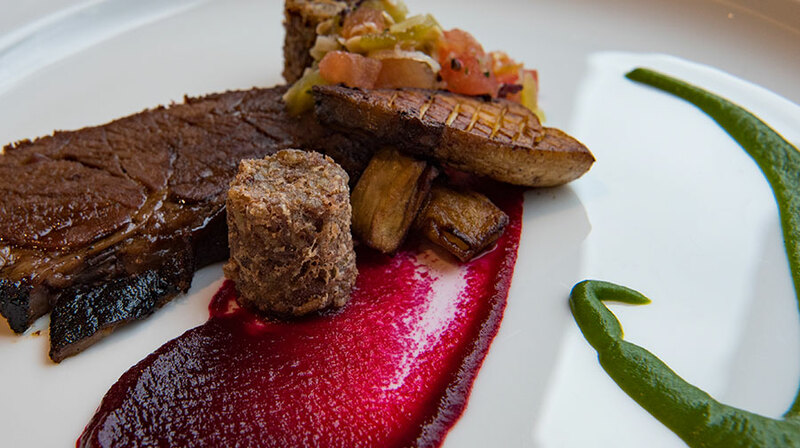 Daging Sapi Sambal is served as a main course. It is a plate of twice cooked beef ribs, seaweed dabu dabu salsa, red rice arancini, young vegetables, and Green Chilli sambal. 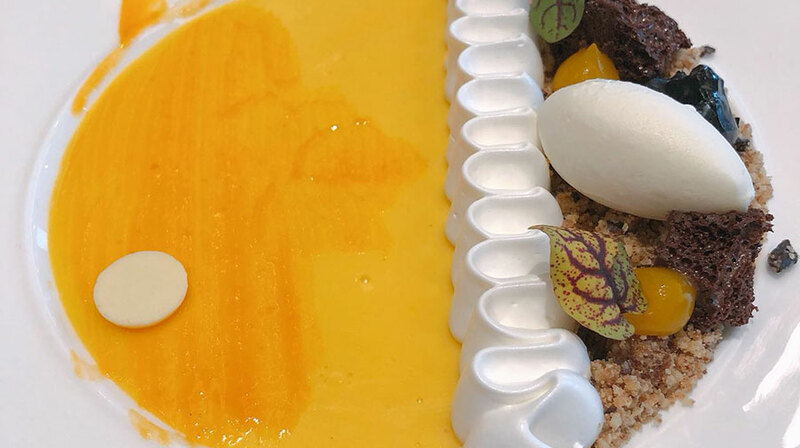 Flores Coast dessert, a Lime mango passion fruit pudding, coconut meringue, and coconut ice cream, close the beautiful dinner. 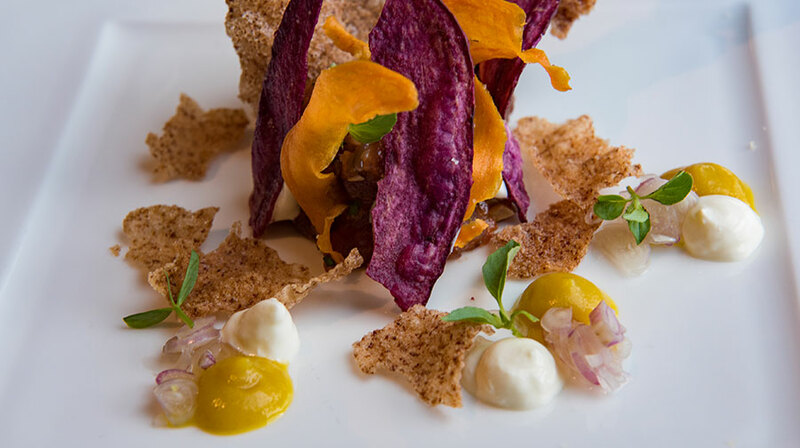 For nearly 15 years, Petty Elliott, a renowned Author and Food consultant, has been writing about modern Indonesian cuisine as well as consulting to resorts and hotels around Indonesia and Europe. Her book, “Jakarta Bites ” was published in 2016 and received Best Street Food book in the world by Gourmand World Book Award in 2017. Petty’s culinary style is a blend of Indonesian cuisine with modern cooking technique but, as much as possible, attempts to retain the unique flavors of Indonesia. She splits her time between England and Jakarta. 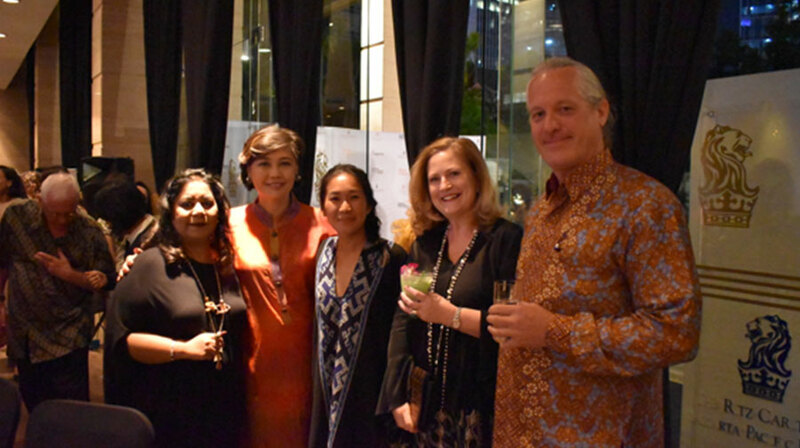 We would like also to thank you all medias for all the support and publication of our charity dinner; Now Jakarta, Eat Vacation, Jakarta Post, Dewi Magazine, Tatler Indonesia, Detik, Whatsnewjakarta, Exquisite Taste, Watches, and The Peak Indonesia. 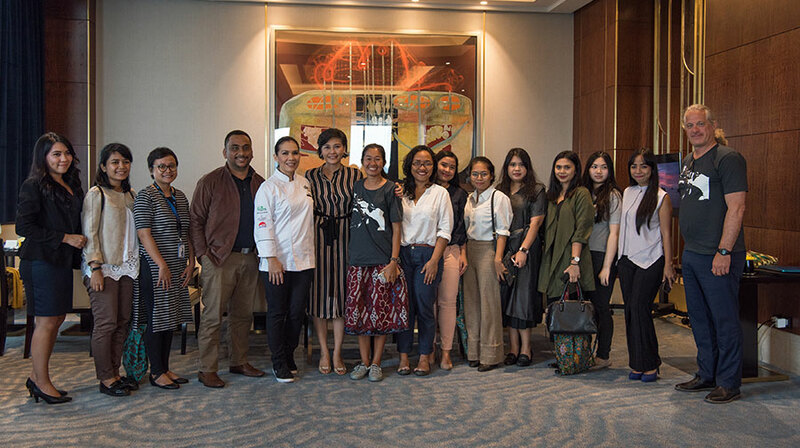 Ritz Carlton Pacific Place, and Tania Araujo, and Gemala Hanafiah take images. 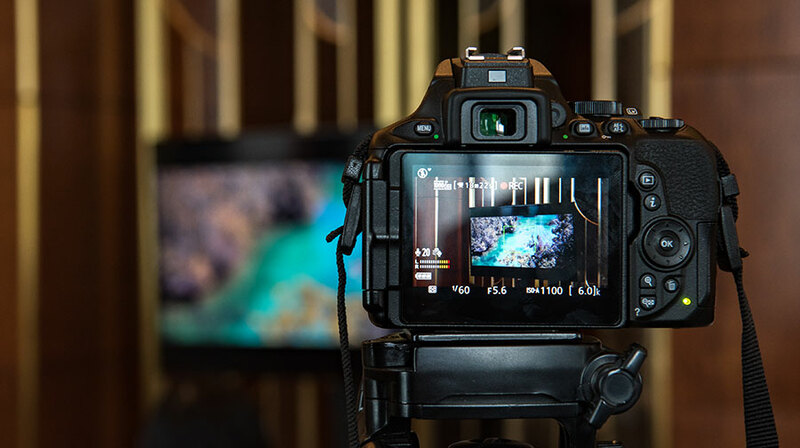 Nala Rinaldo creates video.